One of the biggest concerns that patients have about their dental treatment is the cost. At Irvine Dental, we believe that dental care is an important investment in your health, and we’ve done our best to make dental care affordable. When patients come to our office, they receive the time and attention required to achieve and maintain a healthy mouth. Our hygienists have a full hour with our patients at each hygiene appointment. We use high quality materials, great dental labs, and Dr. Robertson provides high quality, meticulous dentistry. Most dental plans provide the same yearly maximum amount and percentage of coverage in or out of network. The difference is the fee schedule. Our fees are reasonable and customary for our area and are approved by Delta Dental. It is the old saying you get what you pay for! If you have questions about your specific insurance coverage, we can help! Give us a call and we can answer those questions for you. We also work with Compassionate Finance. Please click on the button to the left to access the downloadable application form. 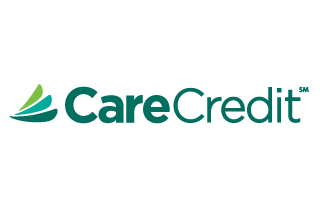 Compassionate Finance provides financing with easy payment terms for a range of credit scores. All you need is a stable checking account history. When you apply, you'll receive a fast decision and a fixed interest rate. Click the button below to apply or give us a call for more information! We accept cash, check, and credit cards (including Visa, Mastercard, American Express, and Discover) for payment of your copayment or procedure cost. If you are uninsured or your procedure is not covered by your insurance, we do offer discounts when you pay in full. Some conditions do apply, so please call our office for more details. We also offer a 10% Senior Citizen courtesy allowance (we cannot combine discounts).